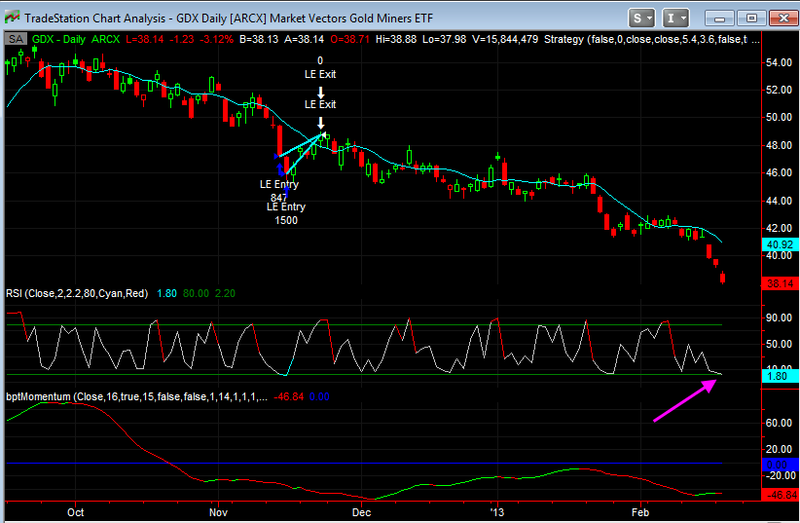 As you know gold and GDX have been pathetic and we have been on the right side of the trade here. However in the very short term they could be getting oversold. 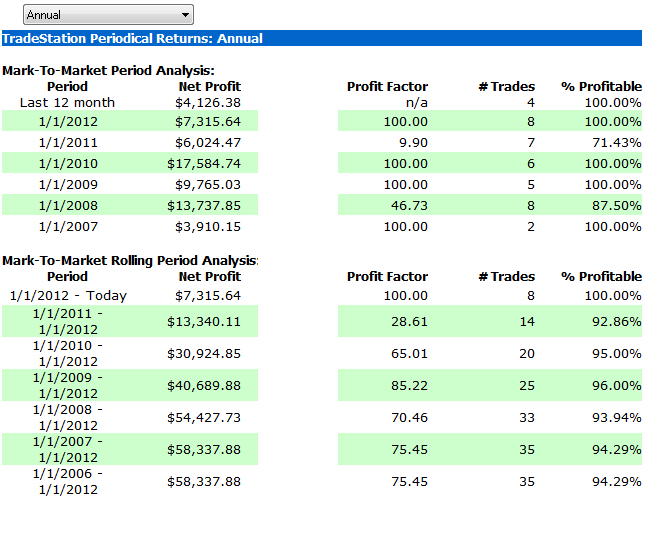 Exit the trade when RSI 2 closes back above 80%, or hold the trade for a longer period of time if our momentum indicator is positive. the system scales into a trade in a total of 3 scale-ins of 40%, 30%, 30% - each scale in has to be at a lower (better) price than the first entry. 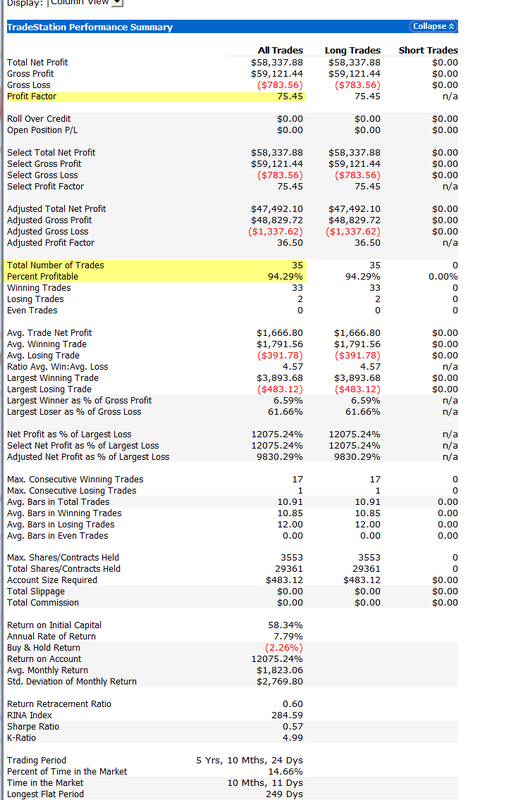 The results are quite positive - 93% of the trades were winning trades with the largest losing trade at 1.2%. However that said - some of the trades had to take some heat before working out - particularly the times when GDX was really in a strong down trend, many times you got lower prices before GDX finally bounced.